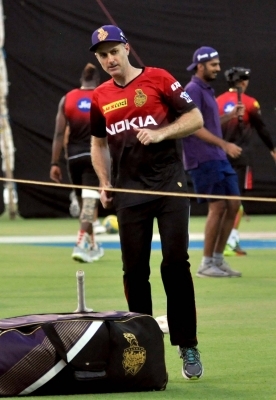 Kolkata April 15 (IANS) Kolkata Knight Riders (KKR) will not be focusing on Gautam Gambhir alone when their most successful former captain leads Delhi Daredevils (DD) at the Eden Gardens in a big-ticket Indian Premier League (IPL) game here on Monday assistant coach Simon Katich said. "I think from our point of view it s about performing well against the opposition. If you start playing the man rather than the ball you know you are in trouble in this game " Katich told reporters on the eve of the game. "There are a lot of new faces in the team. There are guys who have joined from other teams some youngsters so it s not the exact same team that played under Gautam for so many years. "Yes there will be emotions involved from I guess Gautam s point of view because he had a fantastic time here as captain and was very successful. We know he will be up for the challenge as three of the Sunrisers boys were last night (Manish Pandey Yusuf Pathan Shakib Al Hasan) " Katich added. Gambhir led KKR to two IPL triumphs in 2012 and 2014 and is their all-time highest scorer. "Gautam knows our team inside out. He will know the wicket and conditions really well. He knows about a lot of players who have been here for a long time " Katich added. On Saturday KKR succumbed to their second straight defeat at the hands of SRH by five wickets. Delhi meanwhile tasted their first win of the season after three games against Mumbai Indians. 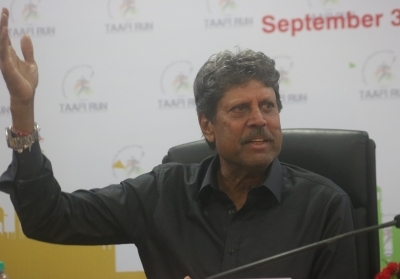 "In the last couple of games things have not gone according to plan with both bat and ball particularly in the back end. Last night here in Kolkata we were obviously 25-30 runs short with the bat and that put us under pressure with the ball. "I thought the spinners last night were outstanding. To be fair to the batsmen yesterday the rain breaks kept happening we never got any momentum in our innings. I think from a batting point of view our batsmen have all looked really good at the start of the tournament " Katich assessed. Put in to bat KKR were 52/1 when rain halted play for almost an hour. 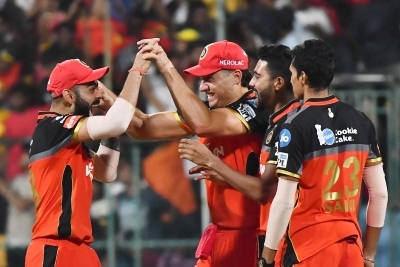 The SRH bowlers led by Bhuvneshwar Kumar then turned the tables on the hosts as they were restricted to 138/8 in 20 overs. Chasing a modest 139 SRH struggled against the KKR spinners but Kane Williamson played a captain s knock of 50 to guide them over the line. Katich backed under-fire KKR skipper Dinesh Karthik whose decision to send top-order batsman Shubman Gill at No.7 and giving Shivam Mavi -- both U-19 World Cup winners -- the ball in the 15th over raised eyebrows. "He has been really good so far. Things haven t quite gone to plan. But in terms of how he settled in he is getting around the group. We have a lot of youngsters. So he is spending a lot of time chatting with youngsters. From a performance point of view he would have liked to get the team home a couple of times. He was trying last night did not quite go to plan. The effort is there. His keeping has been excellent."